Did you know you can bring wilting hydrangeas back to life? This is a trick I recently learned about large leafed flowers that have been cut, so I decided to test it out. I picked some hydrangeas from our yard to bring indoors and paired them with some white blooms. The hydrangeas are a pretty combination of pinks and blues, but they only lasted a day or two before they began to wilt. Typically, hydrangeas have a standard vase life of six to 10 days. I believe they wilted because I picked them prematurely. Why do these blooms droop? Big leaf hydrangeas, wilt when they can’t take enough water up through their stems to keep the blossoms hydrated. This could be caused by many reasons, such as the channel that takes water up through the stem is blocked by an air bubble, the end of the woody stem is crushed, leaves remaining on the stem that siphon off moisture from the flower, or the flower was immature when cut. But there is a way to revive them once they have wilted. Cut them back at least an inch under running water at a 45 degree angle. Remove any leaves and avoid crushing the stem. Boil approximately two cups of hot water. Pour the hot water into a heat safe container. You only need a couple inches of hot water in your container. Allow the flowers to sit. After 30 minutes, the blooms have started to come back. After 3 hours, the hydrangeas have come all the way back to life, pretty amazing. Reviving hydrangeas can take anywhere from one hour to overnight, keep an eye on cut hydrangeas when they are for a special occasion, so you have plenty of time to make any necessary repairs before the event. To prevent wilting in the first place, cut or select only hydrangeas that are fully open. A flower should have been on the bush for a few weeks before it is cut, with all petals open and color fully developed for the longest vase life and best display. Place cut hydrangeas in water as you cut them, then recut them underwater and give them the boiling water treatment proactively to prevent wilting. Another sure way to never have wilting hydrangeas is to buy silk hydrangeas. PierOne has beautiful artificial flowers that are so life like, you should definitely check them out. I have found many beautiful flowers there that I use for all occasions. Thanks for stopping by, and see you next time! Remember to follow along on Instagram too! Wow! This is so helpful–thanks for sharing! 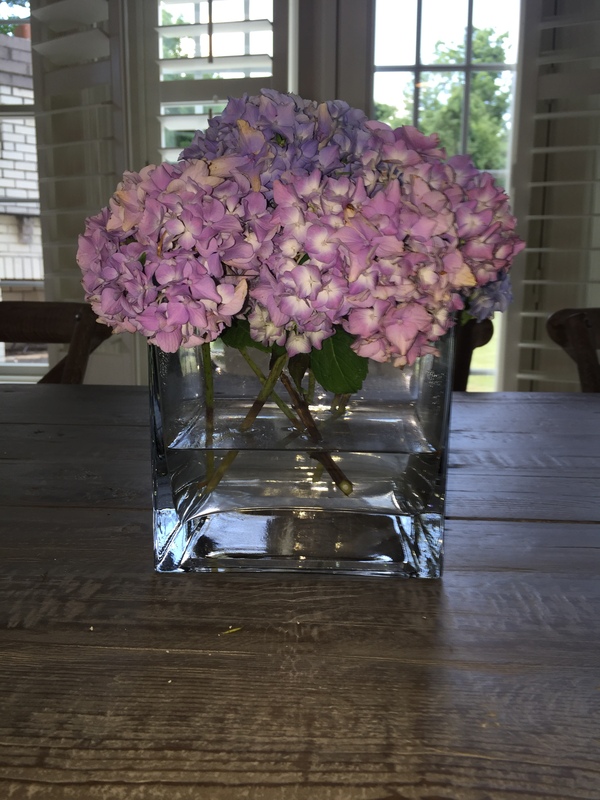 I just got rid of some wilting hydrangeas, but now I wish I had kept them to try this trick! It’s pretty amazing how well it works! Thanks for stopping by.